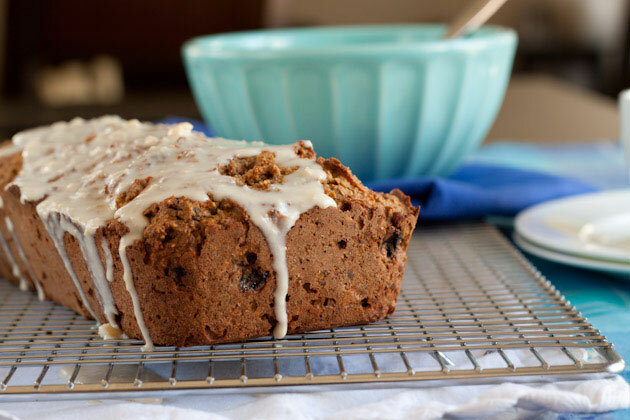 This classic [gluten free] carrot cake loaf is packed with healthy fats, fiber, and is free of refined sugars. In a separate bowl, mix together eggs, coconut milk, oil, and extract. Stir carrots, raisins and walnuts. Scoop batter into prepared pan and bake for 60 – 70 minutes, or until toothpick inserted comes out clean. Allow to cool for a couple minutes before removing it from the pan [if you’re not using a silicon pan, keep the loaf in the pan for 1 hour] Allow to cool for a total of 2 hours. Drizzle with cashew cream “cheese” icing and serve. I ended up using 3/4 cup of full fat coconut milk. Start with 1/2 cup and make sure you have the desired consistency [explained above]. If you live in a drier climate, you may have to go up to 3/4 cup. I used olive oil because 1/2 cup coconut oil is expensive! 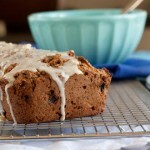 I think it would have tasted richer with coconut oil, but either one will do the trick!